Kenny Shiels admits that a big crowd for his side’s final home game against Cork City on Friday night would be a massive help as the Candystripes strive for a positive finish to an up-and-down season. 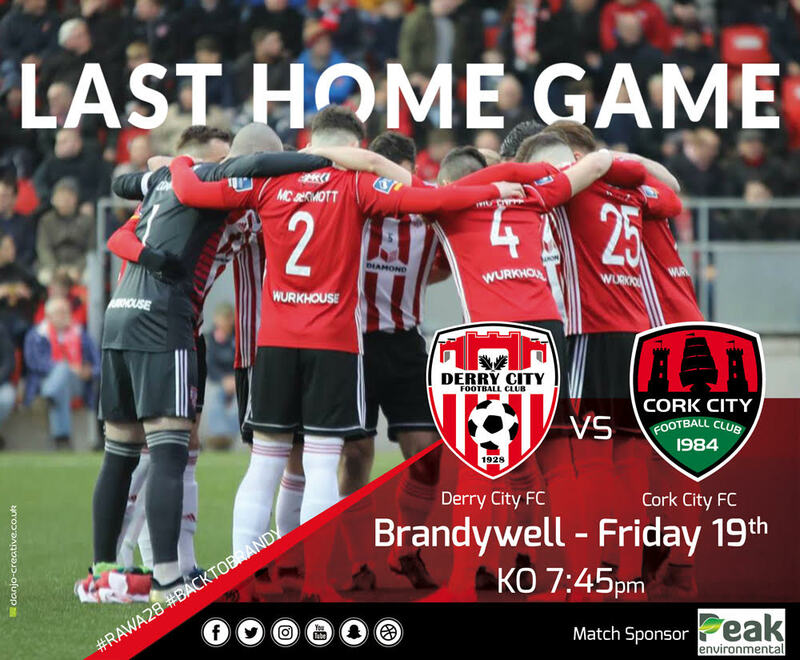 Away games at Bray on Monday and St Pats next Friday will complete the Brandywell club’s schedule for 2018 and it looks certain that only a win against the outgoing champions will suffice if City are to capture fifth place. “I sincerely hope that our supporters turn out in good numbers for this one as that could make a real difference” said Shiels. The Candystripes ended a run of five consecutive league defeats with their victory in Limerick before the International break and having targeted wins in their last four matches, Shiels will be well aware that this is as tough as it gets. The Derry boss also confirmed that he is in contract discussions with all the existing players whose deals are expiring this month. Those talks are expected to continue in the coming days as the campaign reaches its conclusion. On match day, tickets will be on sale from Long Tower Youth Club which can be accessed from the stadium car park.